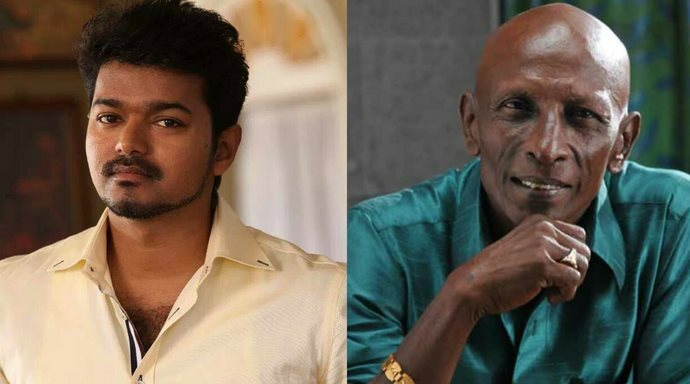 Actor 'Mottai' Rajendran, who rose from a stunt master to one of the most sought after comedians in Tamil cinema, will be seen as superstar Vijay's driver in his next outing which is tentatively titled "Vijay 59". "Rajendran plays Vijay's driver in the film. Unlike some reports, he's not playing a cameo. He appears throughout the film," a source from the film's unit told. Being directed by Atlee, the film features Vijay in the role of a policeman and co-stars Samantha Ruth Prabhu and Amy Jackson in important roles. Veteran filmmaker Mahendran plays the antagonist in the film, which has music by G.V Prakash Kumar. Produced by Kalaipuli S. Thanu, this is actor Vijay's 59th film.